Pakistani troops have violated ceasefire over 110 times along the LoC since January. 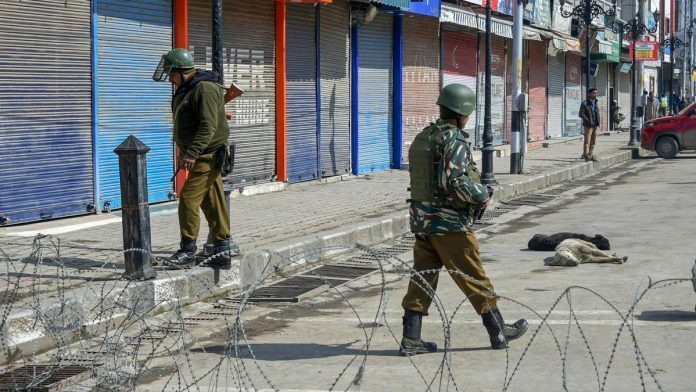 Jammu: An Army soldier was killed when Pakistan violated ceasefire by heavily shelling forward areas and posts with mortar bombs along the Line of Control in Jammu and Kashmir’s Rajouri district Thursday, officials said. Main problem is HAL + bureaucracy + Past generation short term thinkers. No company in the world has ever wanted to partner HAL., Because of it’s worst standards. The best example is MIG fighters, whose spare parts when manufactured by HAL brought disgrace to the fighter itself. Accidents took lives of our brave fighter pilots, but the reason had always been HAL. In the Rafael case , the same thing happened, Dassault aviation knowing the standards of HAL became reluctant. Unless there is a complete overhaul of quality standards both physically and mentally in HAL + Farsighted thinkers & bureaucrats we will have to rely entirely on off the shelf buying of aircraft and weapons.